Eaton’s Bussmann business has introduced an innovative product that combines a Class J fuse block with a power distribution block, creating a solution that uses up to 50 percent less panel space and reduces installation time and labor by 33 percent when compared with traditional solutions. The power distribution fuse block is available with ratings of 100, 200 and 400 amps and represents an industry-first solution that enhances overall system integrity. It utilizes safe, reliable technology to help both OEMs and end users save valuable panel space and reduce overall installation cost. Furthermore, the compact design uses fewer wire connections, which reduces watts loss and overall operating temperature. The new power distribution fuse block is available in 1-, 2- and 3-pole versions with individual pole versions having a dovetail feature that allows point-of-use assembly of multiple pole configurations. The compact footprint of the power distribution fuse block consumes considerably less panel space than traditional solutions, and the 200kA withstand rating helps panel builders achieve a higher assembly SCCR for compliance with NEC®. To help enhance safety, products offer optional IP20 rated finger-safe, see-through covers, that include lockout/tagout capabilities and open circuit indication. 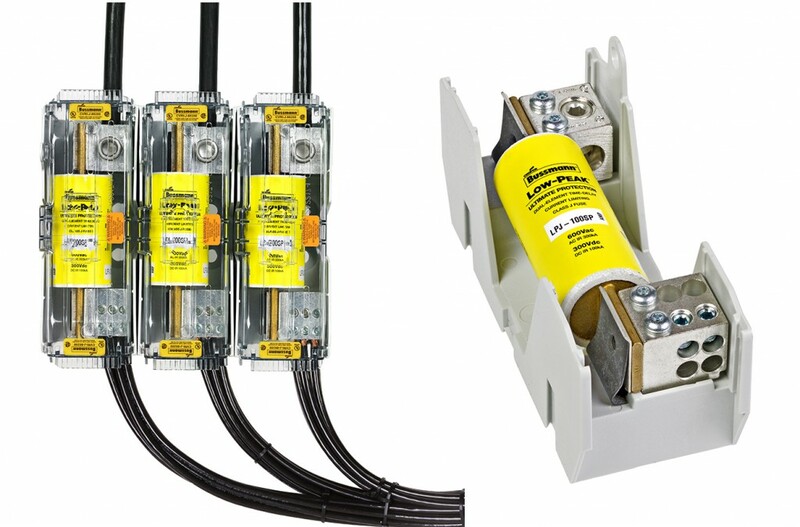 In addition, all power distribution fuse blocks are UL Recognized and CSA certified. To learn more about the new power distribution fuse block, visit www.cooperbussmann.com/PDFB or to request a free sample, visit www.cooperbussmann.com/sample.